banks, specialized centers and other commercial establishments. 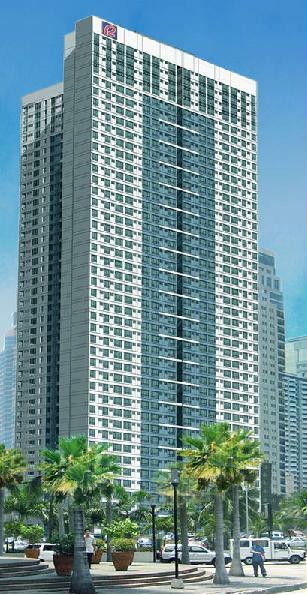 The Tower's majestic height caters to its residents panoramic views like the emerald greens of Wack Wack Golf and Country Club, the sweeping landscape of Antipolo Range and Laguna De Bay, the beauty of Makati and Ortigas skyline and the grandeur of Manila Bay . 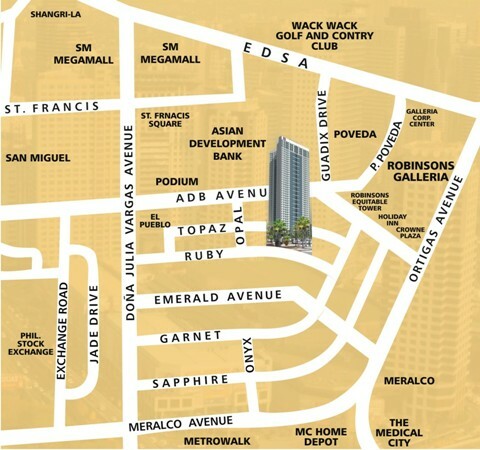 Plus it is just few minutes away from major thoroughfares like EDSA and C-5. EAST OF GALLERIA INQUIRY FORM.